Present your products where yearly 16’000’000 planners & buyers specify products for their projects. Your product in the front row – boost the click rate of one of your products by a factor of 100! Capture the complete Architonic Newsletter with your brand, stories and products! Awareness for your brand – where you reach your potential customers with the right mindset: in search of products. Direct marketing – written off and reborn with even more value thanks to GDPR. Reach our most committed community, the newsletter subscribers! 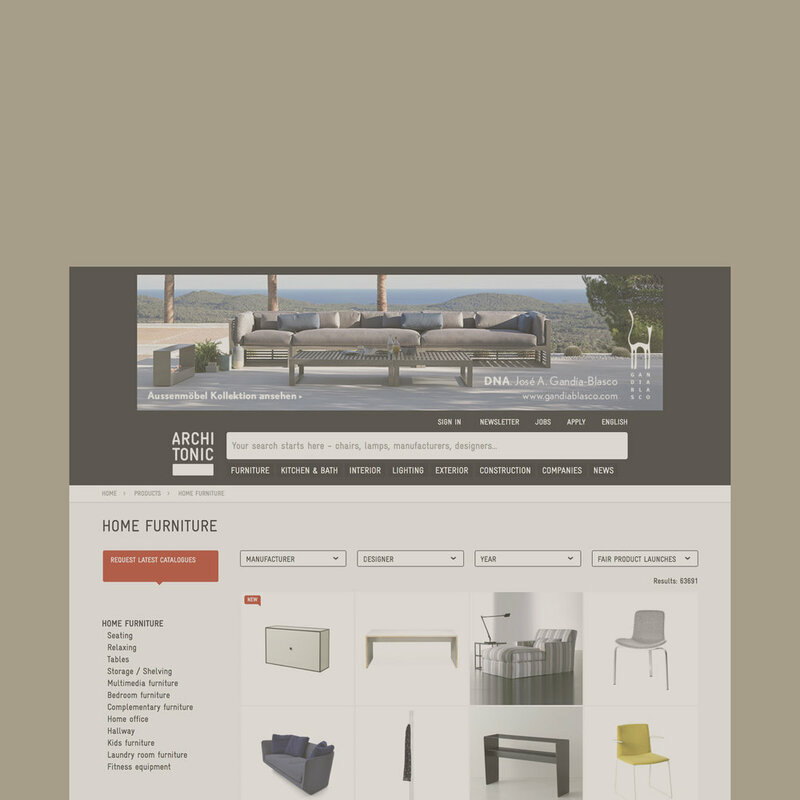 Enrich your presentation on architonic.com with your own content – crosslink your products with reference projects and tell the stories and innovations behind them. Fairs are a battle for visibility! Make sure that the right clients come to your booth – and boost the return on investment of your fair presence!